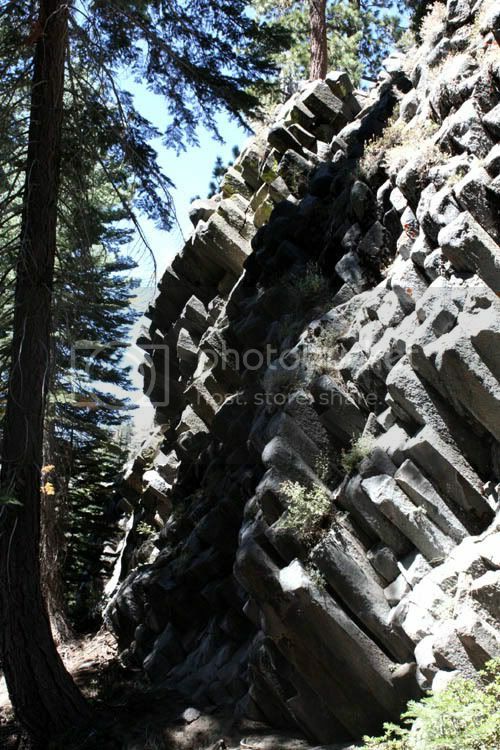 We went to the Devil's Postpile last week, a site near Yosemite of hexagonal basaltic columns that resulted from a volcanic eruption. 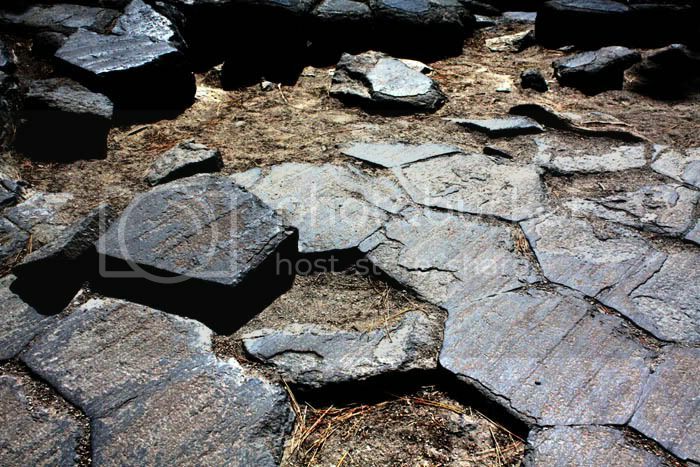 It's not unlike the Giant's Causeway in Northern Ireland. 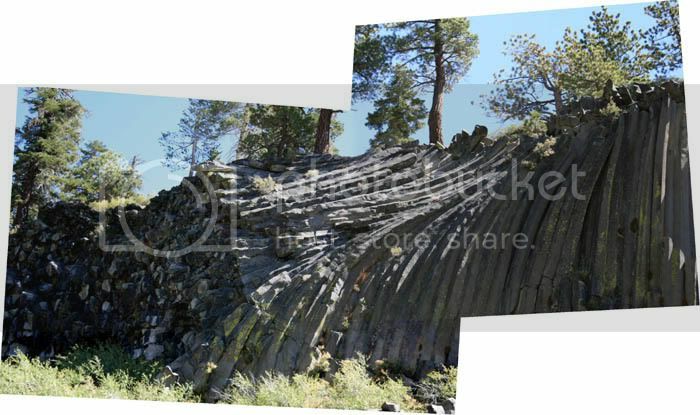 We are lucky to be able to see it - overzealous miners wanted to dynamite it to get rock for a dam; although they didn't succeed, they did manage to carve Yosemite in half - today Devil's Postpile is a National Monument, where it used to be part of Yosemite National Park. The area is rather weird. 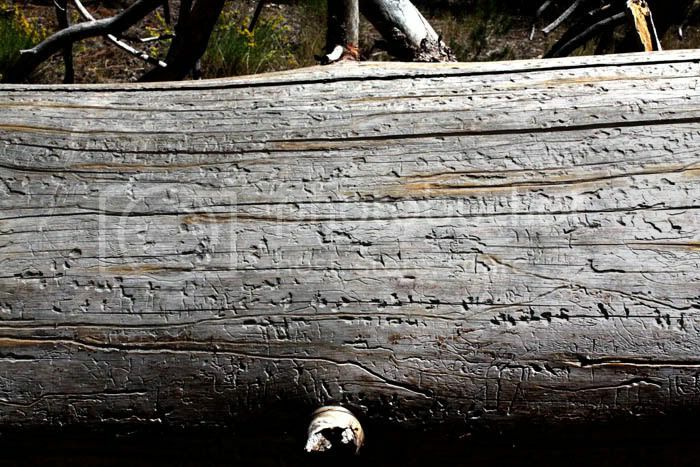 On the hike to the site, we spotted strange writing. 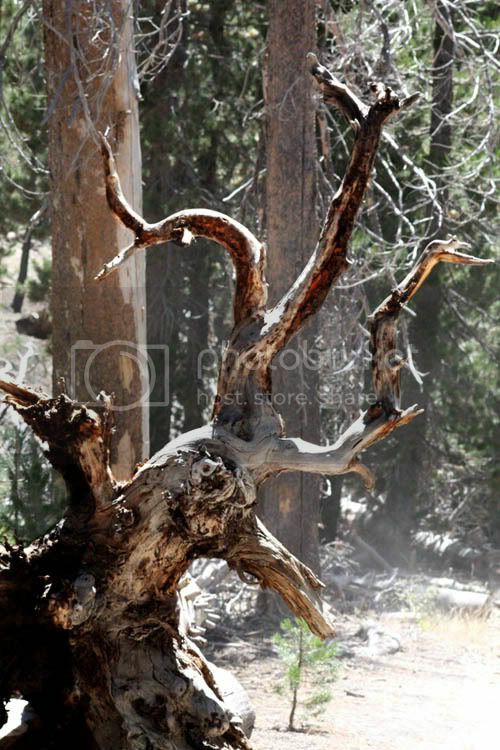 A twisted tree let us know when we were getting close. Bits of the formation have been scraped smoothed by glaciers retreating during the last ice age. They are just the right size to sit on top off and take a break. Above, the first glimpse of the formation through the trees. Below, the full panorama. The columns are about the size of telephone poles. As you continue to hike, you are frequently greeted by strange sights.